She says, "Talk is Cheap". We say, "Let the Gold do the Talking"! 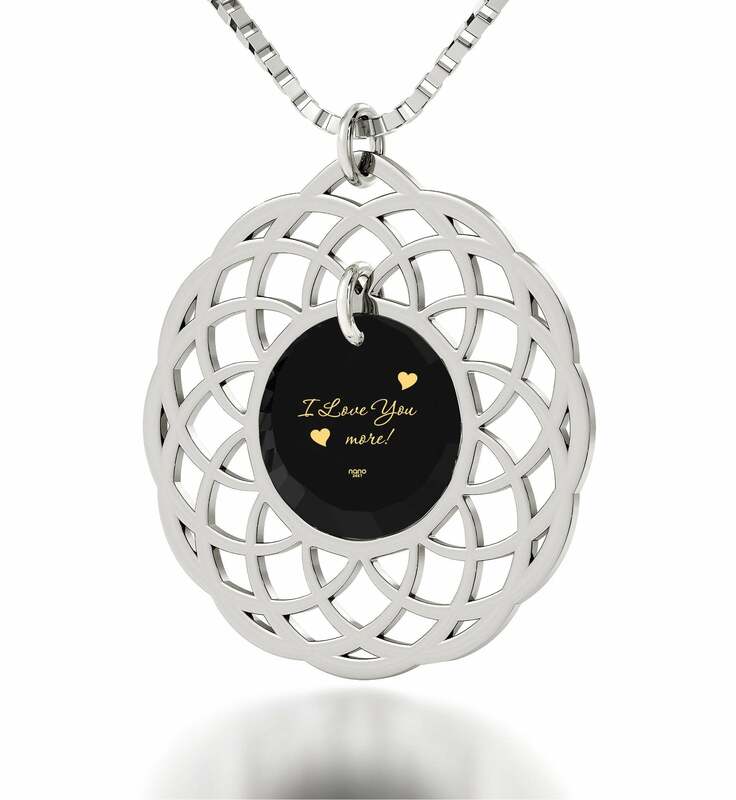 "I Love You to the Moon and Back" Necklace with "I Love You More"
"I Love You to the Sun and Back"
Women are a never-ending well of inspiration. Giving protectors, staunch friends and tender lovers, they occupy such prominent roles in our life from the moment we take our first breath to when the time comes to draw that last gasping one. There's nothing in the world one can care so much about and be as stumped with at the same time. You don’t need to understand all of your girlfriend’s moods, mother’s thoughts or sister’s ideas to be able to love them all just the same though, and that’s what adds so much more color and meaning to life! Every woman is a unique individual with everything this entails. 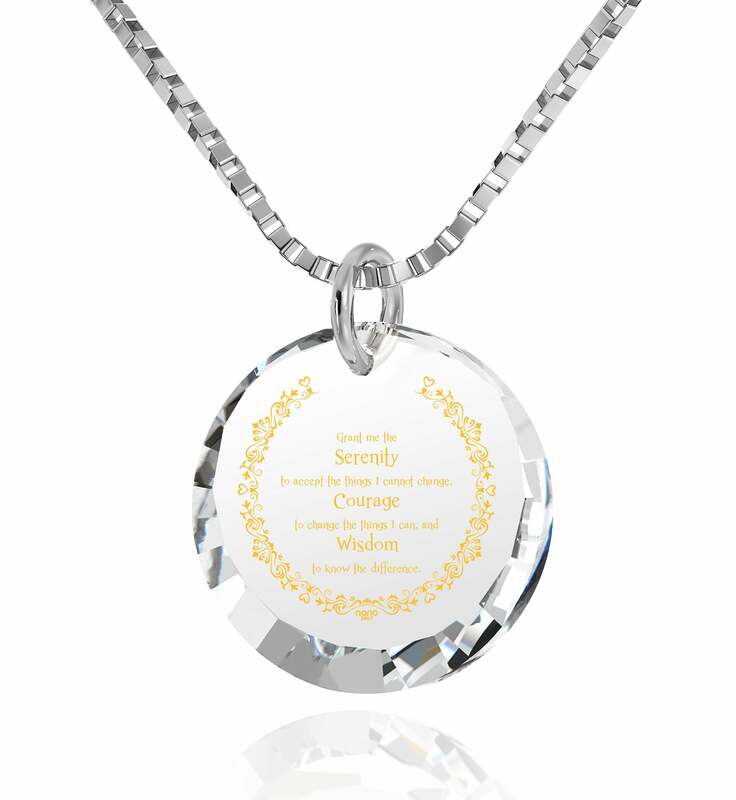 When a special occasion or an overwhelming need within you to honor that person with a thoughtful gift for her arises, the present you should have in mind needs to be as special as the woman who gets to be surprised with it, and this is where our one-of-a-kind engraved necklaces for her come in! 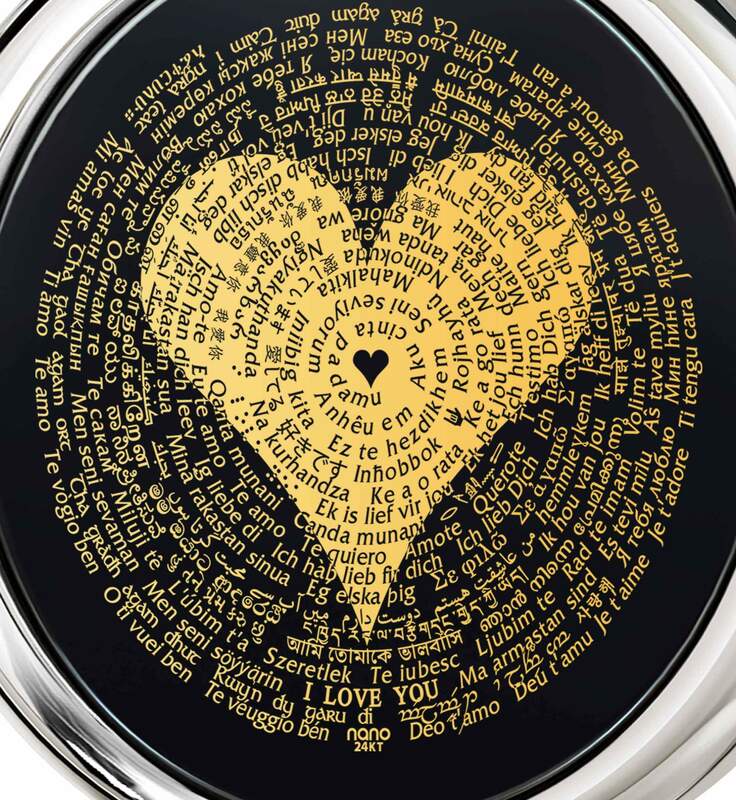 Our necklaces proclaim love loud and clear with their bold designs and breathtaking inscriptions fashioned exclusively from the purest 24 karat gold. 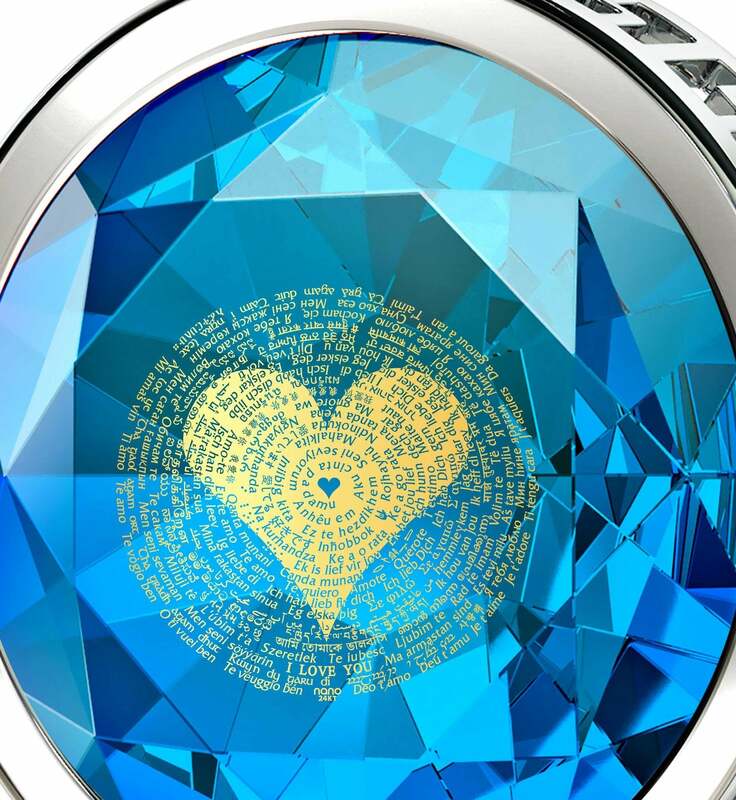 All of the miniature images, words and symbols that enhance each necklace’s expertly-faceted gemstone have a love story to tell, and do so in more detail than anyone. 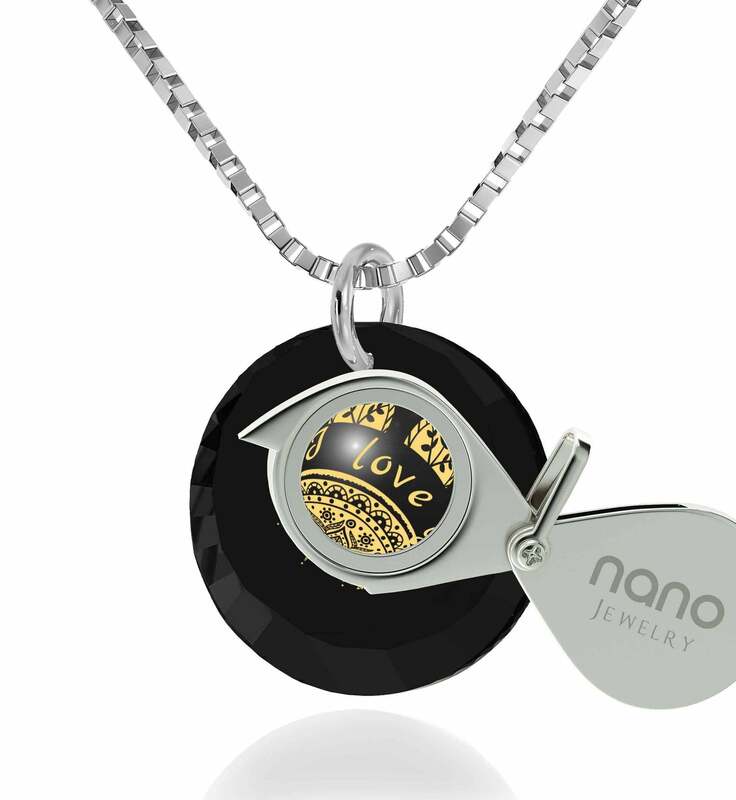 The artful blend of creativity and precision used in bringing them to life is something Nano Jewelry has yet to be surpassed in. Probably the most talked about and definitely one of the most unique love-themed collections you’re likely to ever encounter contains love necklaces for her filled to the brim with love confessions both whispered and proclaimed boastfully across the globe. 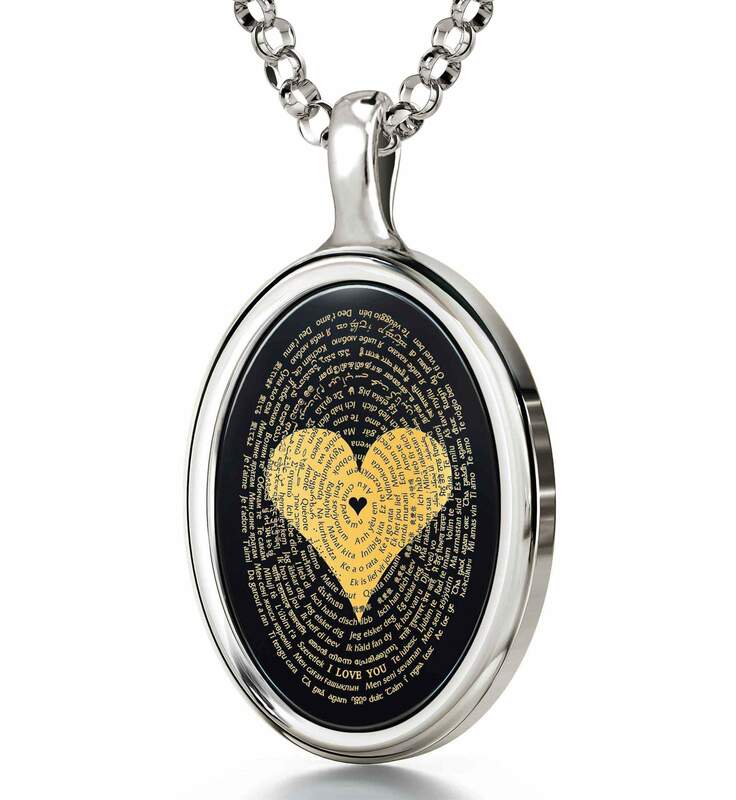 Love in different languages is a wonderful thing to experience, and with any of these top gift ideas for women in the guise of dainty necklaces love will be her constant companion in twelve, or even a hundred and twenty distinct languages! The latter ones feature some of the most intricate inscription work ever produced on such a scale, and you’ll have to take it all in to fully appreciate their meaning. 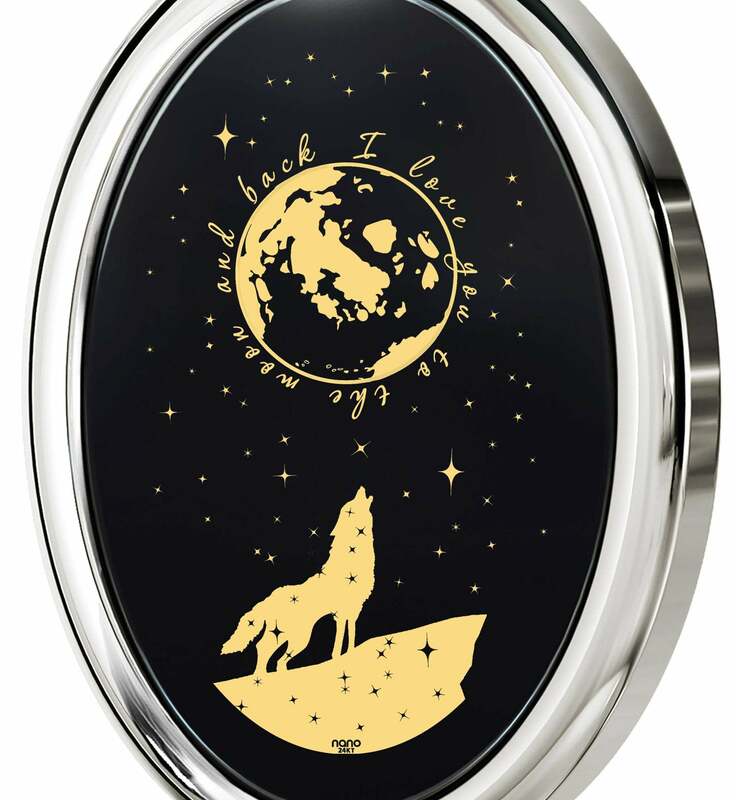 If speaking to her of love with many a honeyed tongue is less important to you than convincing her of the strength with which it burns within you, then I love you to the Moon and back jewelry is an apt measure of the lengths you’d be willing to go to as proof of your devotion. 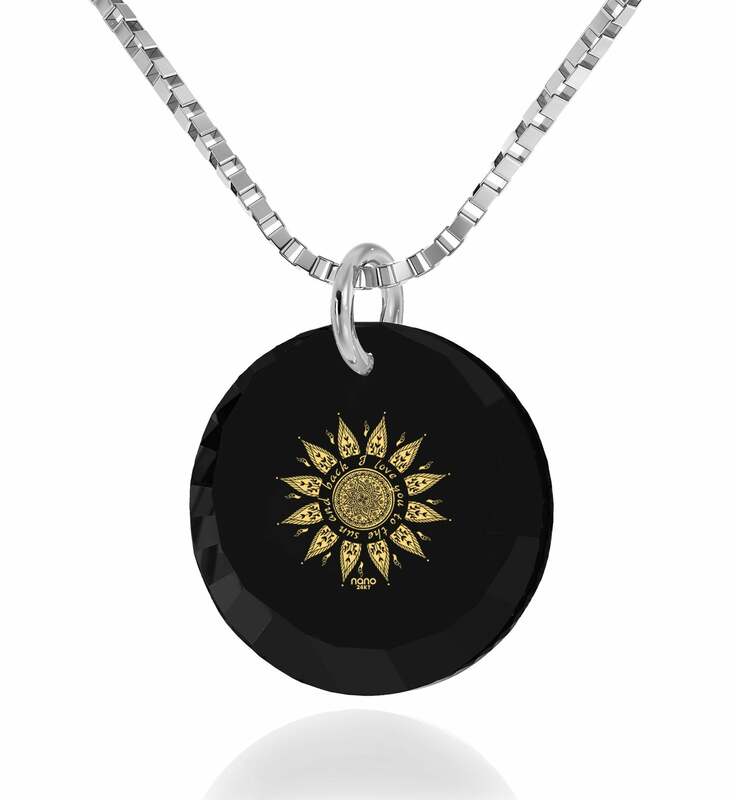 Featuring golden depictions of the most alluring sight in a clear night’s sky and the words of gold to more than just that catchy song, the necklaces within are cute reminders of why you’re her number one choice. 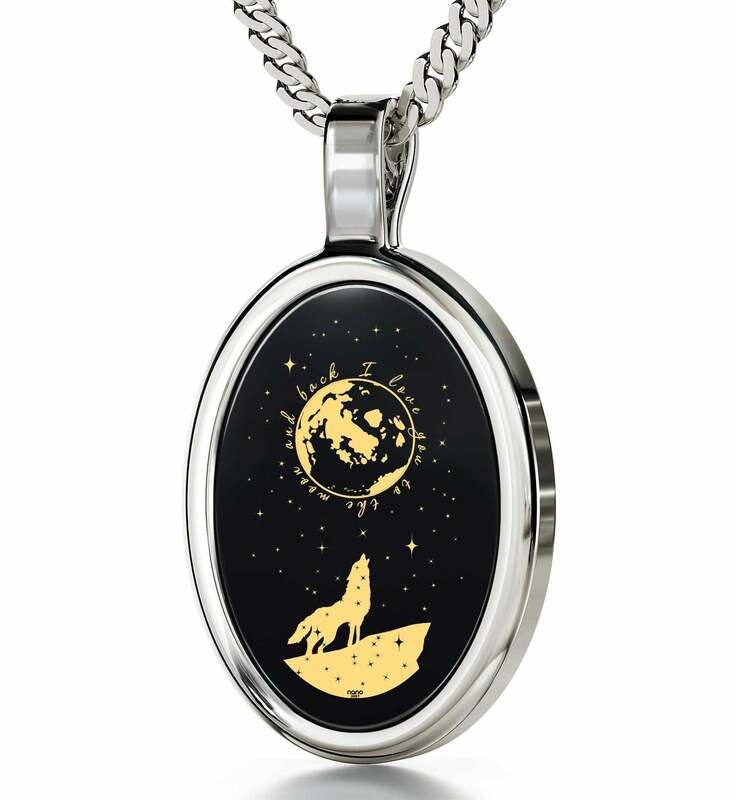 For those of you who can’t stop thinking of a future life with her by your side, clear skies and endless possibilities, nothing will make her as eager to turn the fantasy into the real thing than jewelry gift ideas starring two love birds that are about to embark on their most amazing adventure together, away from the rest. 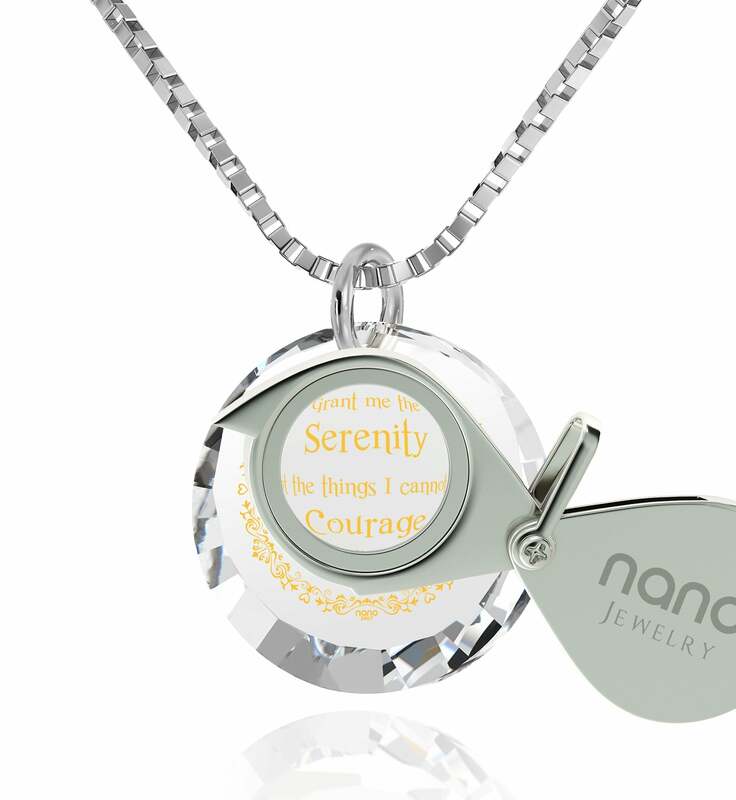 Make “I wanna fly away with you” the words the two of you will live by from now on with a cute present for girlfriend from this collection. 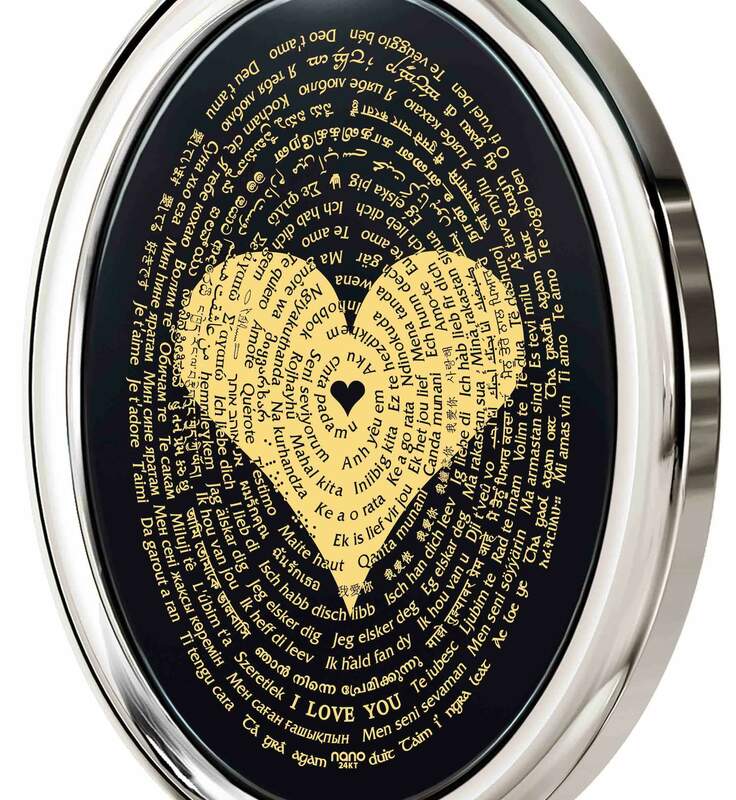 Need an I love you gift as the final masterstroke in in winning her over? 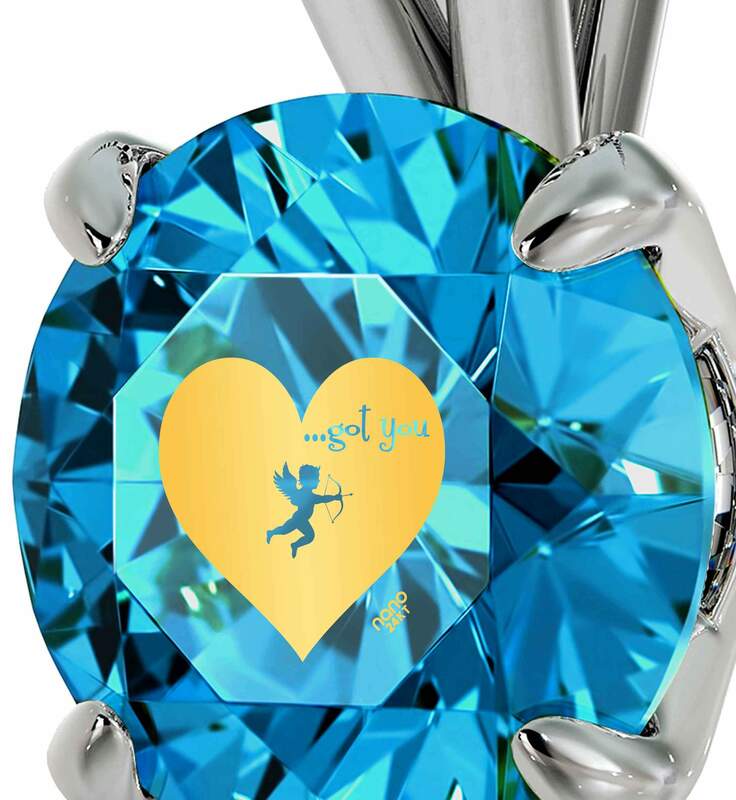 Do so with the help of Cupid’s keen love arrows or the delicate golden petals of a lifelike rose that make their home inside this assortment of unconventional surprise gifts for her. 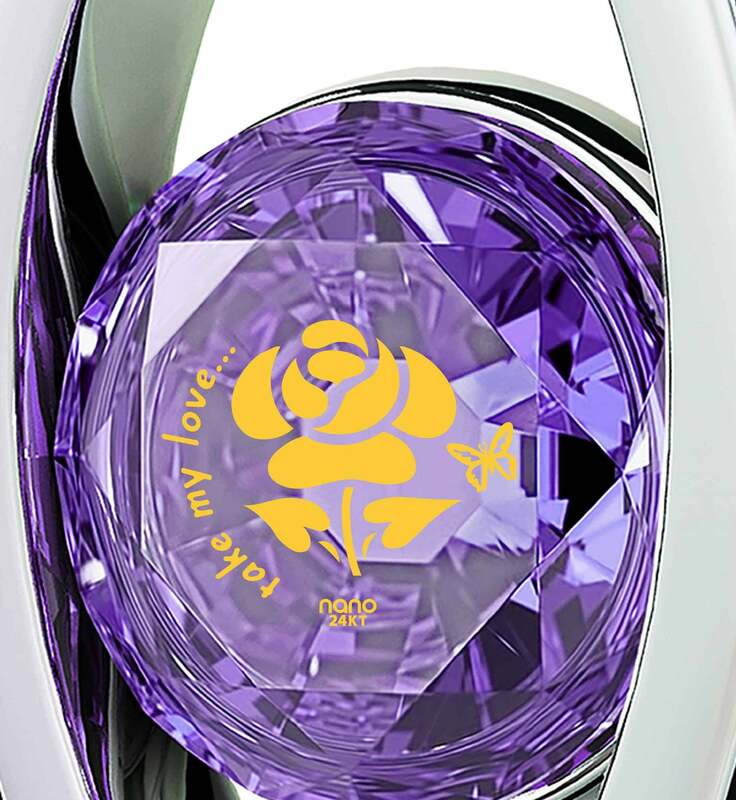 What woman would say no to a considerate token of that’s as sweet and as different from what she’s used to receiving as this one? 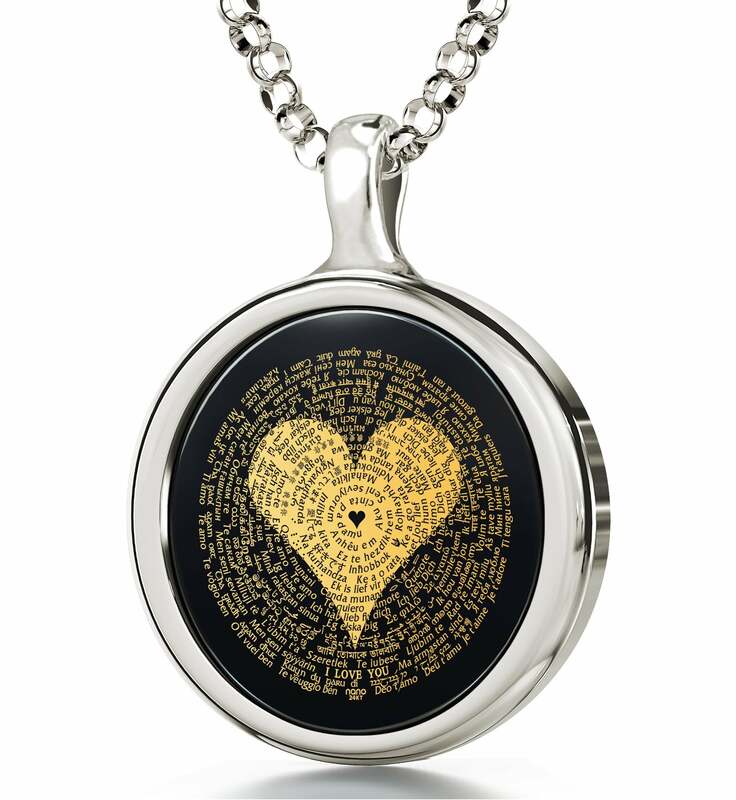 Any dainty necklace featured here would establish you as a considerate giver whose love is apparent, but if you really want to make a convincing argument and have the final say on which of you cares more for the other, an I love you more gift is the idea solution. 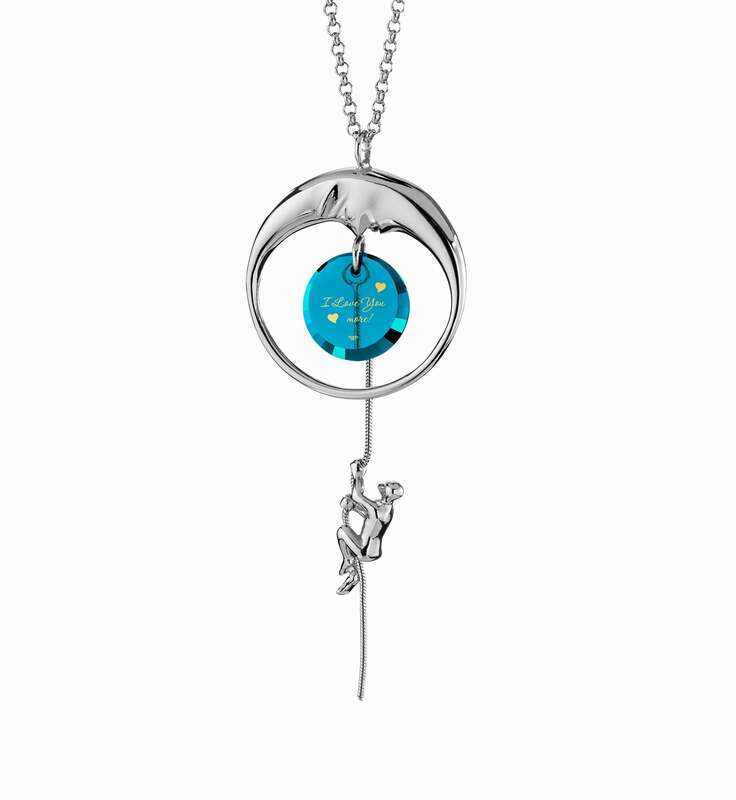 Delight her with a playful necklace from this collection and leave her with the equally exciting and frustrating task of having to come up with a gift idea for you that can top it. Best of luck to her with that, she’s going to need it! Both the most poetic and purely scientific minds have tried and failed to encompass love in all of its mystery and wonder. 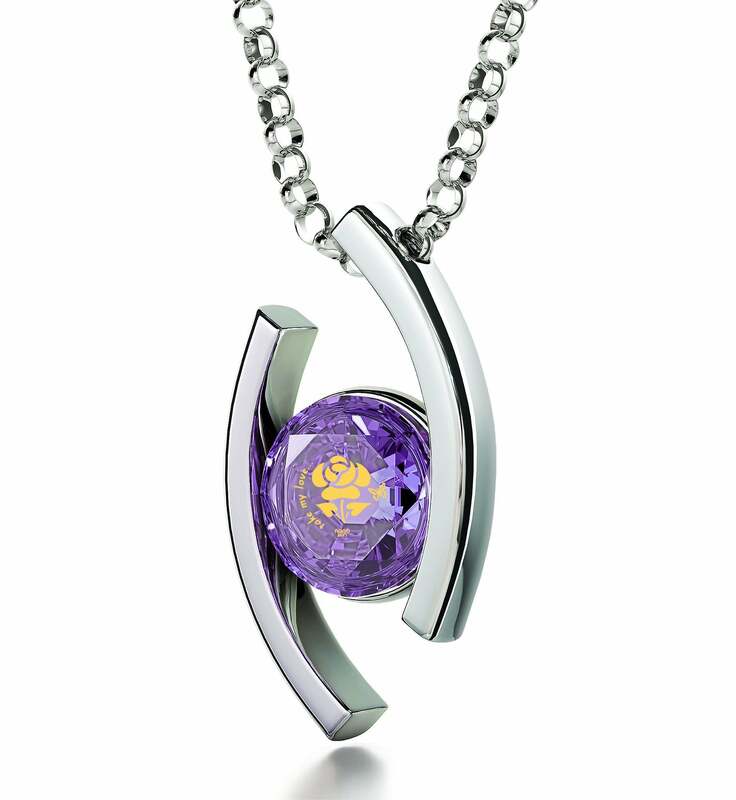 Get as close as anyone ever will to telling her how complex the emotions you feel for her are with an infinity love necklace. The never-ending golden symbol of infinity adorning each necklace within this original collection is a graceful and apt representation of feelings which can’t be put into words, and turns it into the best gift for wife or girlfriend to mark an unbreakable relationship with. Mind you that these are just the highlights. There are other, more specialized collections just waiting to be explored as well. 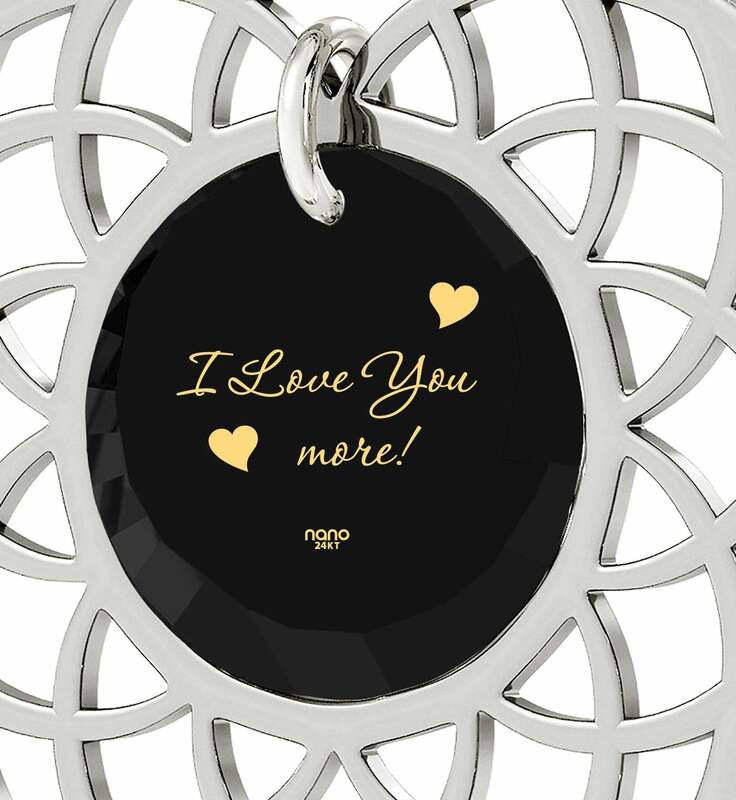 Whether you’re unsure of what to get your mom for Christmas or want a gift for the wife she’ll want to show off at any opportunity, the right kind of inspirational gift is but a page or two away. 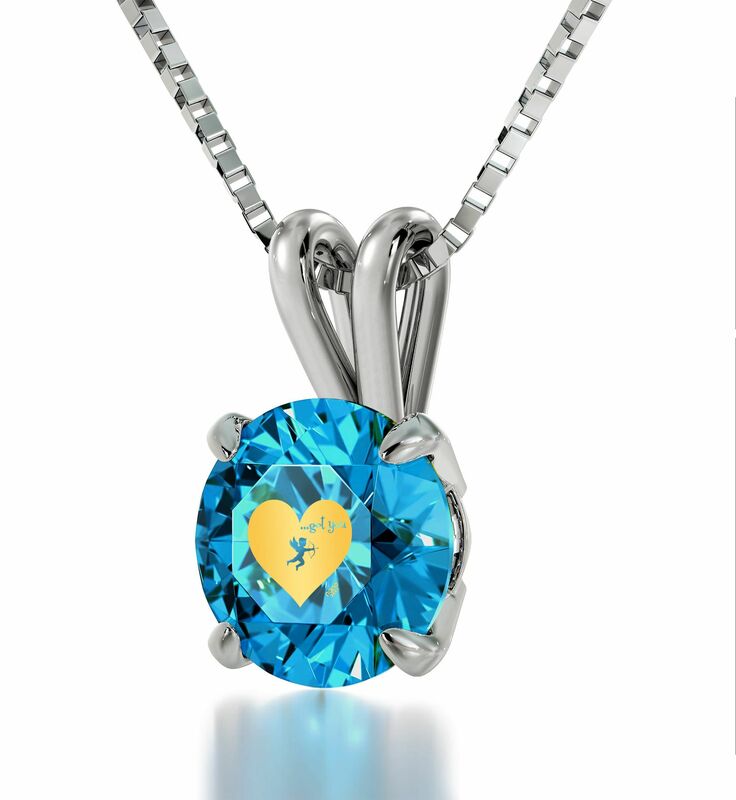 There has never been a better time to make her your own or bring her to tears of happiness with a beautiful necklace that has everything going for it in becoming not just the new favorite among her fine jewelry collection, but a cherished heirloom with a lifetime of affection distinguishing its unmarred golden imprint. 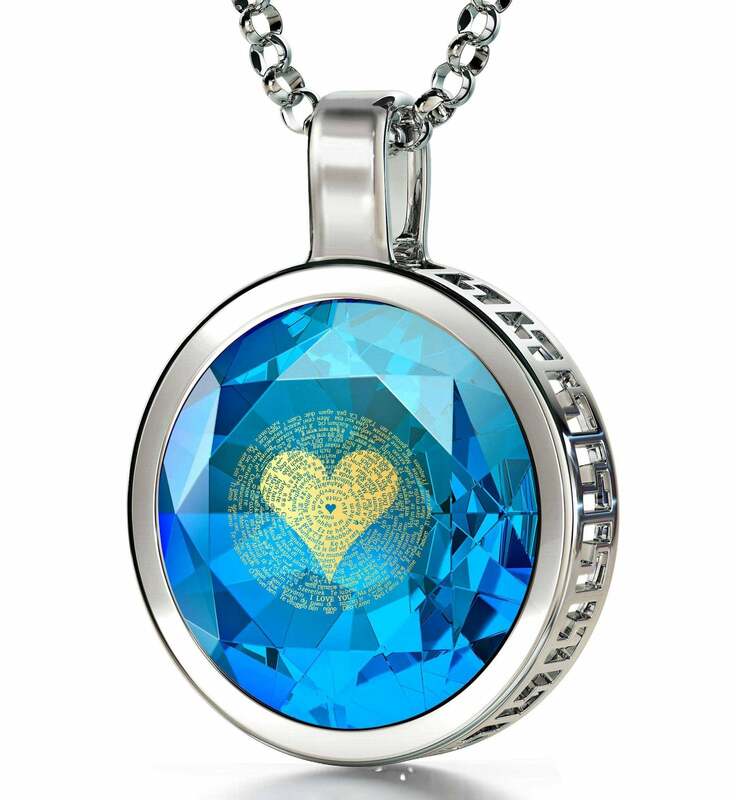 Your unconditional love for her now has the perfect embodiment – unite her with it and take her breath away with the gift of a lifetime.